Sunglass Hut - Virtually Valentine's Day — Geoff Howell Studio Inc. 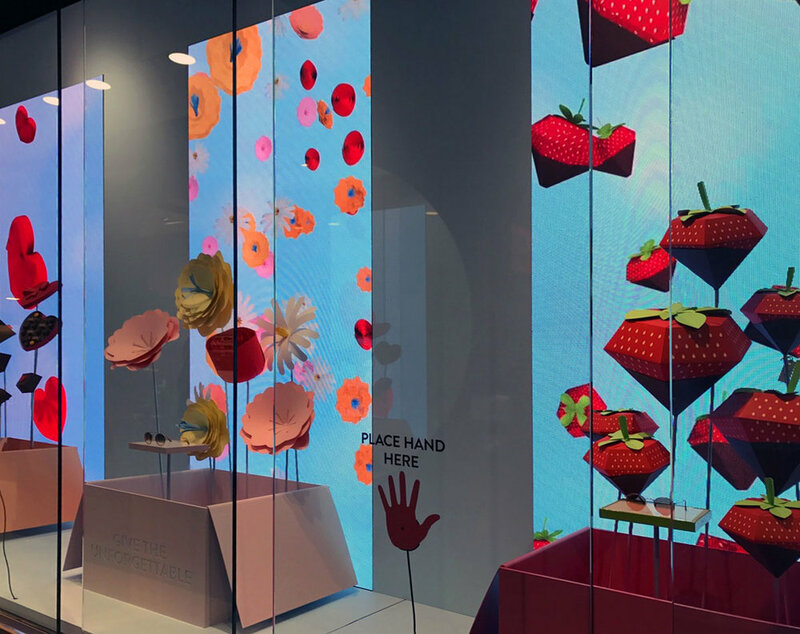 In collaboration with the Italian design firm that works with Sunglass Hut, we helped to create a Valentine's display that lies somewhere between the digital and real, combining interactive video animation and physical three dimension versions, as well as complimenting Vinyl and cut-out graphics. Love Boldy!